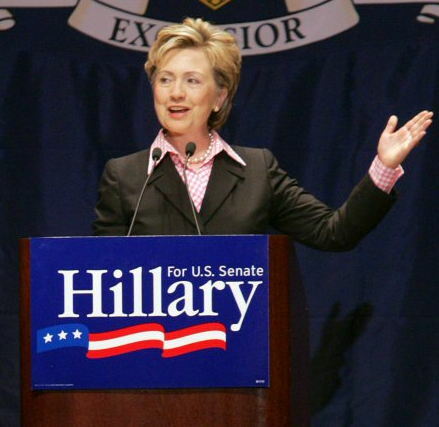 Did HRC lose to sexism? This question will be asked for years to come, no doubt. I don't have any deep insights to offer, at least not at this time, but I do have a superficial one. Yesterday I saw an interview with a woman who said it was sexism, and offered an example. 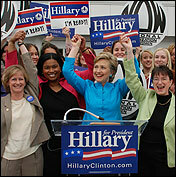 Why is it she asked, that we referred to her as Hillary and referred to the others as Obama, McCain, Romney, etc. She said that was an indication of sexism. Maybe so, but I can offer two explanations that have nothing to do with sexism. 1. She was called Hillary because "Clinton" would be confusing. There are two Clintons, one is a former President, and until recently Clinton would refer to Bill Clinton not Hillary Clinton. Now, I think she's established herself as an equal to her ex-President husband, so maybe next she time runs we'll call her Clinton. I've been trying to do that in my writing, actually. 2. But there's an even more convincing reason. She calls herself Hillary. Look at the signage for her campaign. The ads, the banners, the buttons. They all say Hillary, not Clinton. I noticed this in the same segment, they had a campaign rally and there was a sea of Hillary. 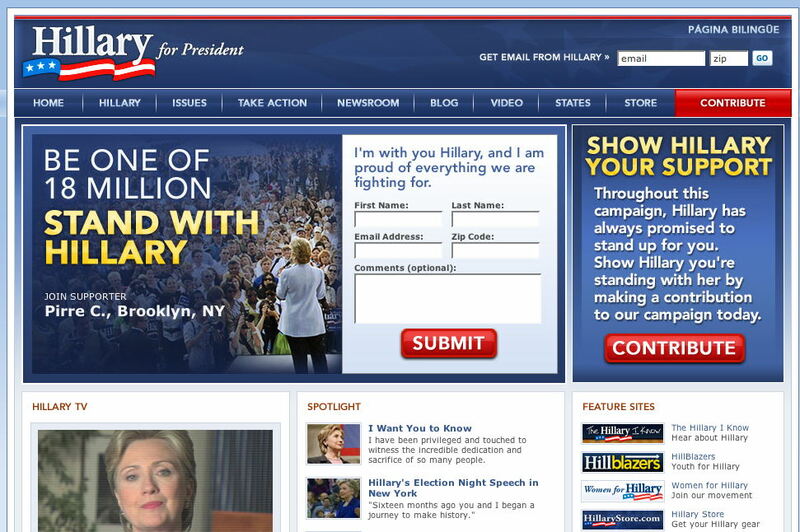 My guess is that they made a marketing decision, that reason #1 above dictated the brand being Hillary and not Clinton. I don't want to be a sexist so I'll try to refer to her as HRC. I want to be properly respectful. Though I supported Obama and still do. And I chose him, initially, over HRC, because I thought she and her husband were appealing to racism, even being racist themselves. I will never go for that, as much as I would have chosen her over Obama if I thought he was appealing to sexism. I've been having the time of my life this week, writing code and watching the political news fly by. So much to think about and ponder, and with the new tools, I have the best seat on the Interweb. Which I am happy to share with everyone else. Several developments in the last few days to report. 1. There's now a Top-25 list of most clicked on stories. 2. We've now got a bunch of podcast feeds in the rotation. On Sunday morning we'll have the three political news shows, Meet the Press, Face the Nation and This Week. On Fridays, On the Media. When they cover political topics, Fresh Air. Same with Bill Moyers. 3. The podcasts flow through all the channels, the RSS feed has enclosures, the Twitter feed points to the MP3s as does the FriendFeed. 4. The editorial system will soon have an API so content sites can directly notify NewsJunk of hot stories. Some sites will flow directly onto the home page. If you work at one of the top political sites and would like to coordinate, please send an email. It'll work much like weblogs.com pinging in 1999. 5. I have many feature requests for the feeds of the various news sites. Some are perfect, like Salon, Slate, the NY Times. Others are so broken as to be useless. Many are inbetween. Where does all this go? It seems to me we're defining a new kind of news site that makes sense in the context of 2008. When we started talking about it, a couple of years ago, it was an Open Campaign Briefing Book, patterned after the physical books they published every day at Dean for America where Nicco worked. But it's advancing beyond that. I'm not aware of any campaigns using our resource yet, but please let me know if you know of any. I want to add a commenting system, but I'm not sure at what level to do it. With the simplicity of Disqus, we could easily add it at a variety of levels. I'm thinking of opening a comment thread for every day. Thinking before doing anything. I applied for credentials to the Democratic Convention and was turned down. Okay, I can accept rejection -- have a great party, I'll watch it on TV. But could you ask your people at the Democratic Party to stop sending me press releases about things that are happening there. It's so tacky. I can't come cause you said no. There's no point rubbing it in. Last update: Thursday, June 05, 2008 at 11:57 PM Pacific.